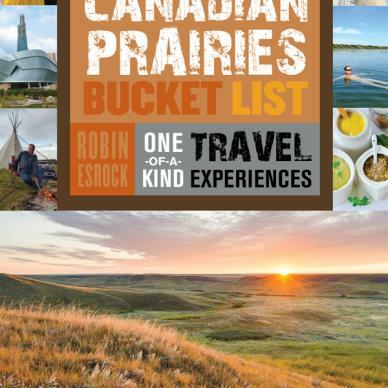 Robin Esrock, one of Canada’s most recognizable travel influencers, is in Winnipeg this week to promote the launch of his book The Great Canadian Prairie Bucket List at McNally Robinson on Friday, May 6 at 7 pm. 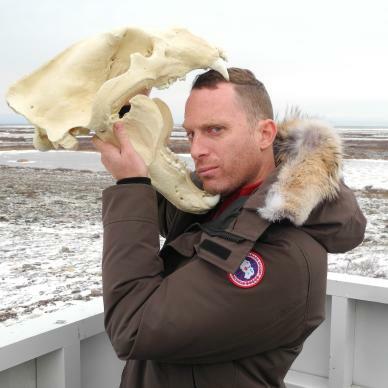 Robin has been a long-time friend of Manitoba (he breezed through town in 2013 to great fanfare when promoting his original book The Great Canadian Bucket List) and we totally appreciate his gonzo personality and renegade approach to travel. Robin always makes us feel good about ourselves whenever we sit down to chat, and this interview was no exception. In relation to other parts of Canada, the Prairies are relatively undiscovered. How did researching the Prairies for your book put Canada into context? Chew on this analogy: Canada is like a sandwich. There’s bread on both sides, but the meat is in the middle. What makes a sandwich enjoyable is when a bite contains all the ingredients. So if your knowledge of Canada doesn’t involve the Prairies, you really can’t appreciate the country’s full flavour. Regions in Canada are distinct—B.C. brags West-Coast style, Quebec is very European, the East Coast wears their heritage so proudly. As an outsider, how would you describe the Prairie personality? The word that immediately comes to mind is “earthiness”. As in: down-to-earth, honest, authentic. Everyone I’ve met has been welcoming and warm—somewhat similar to folks in the Atlantic provinces—but connected to the land instead of the sea. Since you’ve traveled all over our province—through the Boreal forest for fishing and to the tundra for polar bear viewing—you discovered that Manitoba is more than just Prairie, no? Yes, I did! There is a misconception that Manitoba is endless wheat fields. Dense forests, the Canadian Shield, all the lakes and rivers—there’s much to keep an outdoor lover busy, and it also makes for some special photography. And I never thought Grand Beach would have sand as white and squeaky as the Caribbean! What Manitoba bucket list experience stands up against the world? What Manitoba bucket list experience stands up against the rest of Canada? I’ve spent the last decade travelling over 100 countries looking for unique experiences. I’m not a traveller easy to impress, and I set the bar pretty high in crafting my bucket list. Riding a Tundra Buggy amidst polar bears is one of only four Canadian experiences that made my Global Bucket List book that will be released in September 2016. Churchill is right up there with the Amazon, Galapagos and migration of the wildebeest in terms of wildlife experiences. Beyond the wildlife, Winnipeg’s cultural experiences, from the Royal Winnipeg Ballet and Winnipeg Folk Fest to the Canadian Museum for Human Rights and Festival du Voyageur are incredibly vibrant, and punch far above their cultural weight within Canada. Okay, polar bears are the obvious answer. What Manitoba bucket list experience did you have the least expectations for that completely blew you away? The Hermetic Code Tour at the Manitoba Legislature got the longest chapter in my book. It’s head-scratching stuff that will make travellers look at architecture in a totally new light. Also, I’ve seen mutant catfish swimming beneath the Chernobyl nuclear power plant, and they weren’t as big as the monster catfish I caught and released (with amusing difficulty) out of Winnipeg’s Red River. And I was skeptical about the Canadian Museum of Human Rights before it opened, but it is, without a doubt, a must-visit. Quick: what’s the coolest fact that you learned about Manitoba? That Gimli is not only a character in Lord of the Rings, but it’s a town on the shores of Lake Winnipeg that has the largest Icelandic population outside of Iceland. And it hosts North America’s second oldest cultural festival, Islendingadagurinn. What is top of your list to research for the next edition of the Great Canadian Prairie Bucket List? I’m going to take the VIA Rail Hudson Bay Line to Churchill for sure because I love train travel. This route over permafrost is one of the more unique rail journeys in the world. I’m still undetermined if I’ll bring my wife, though. Nine months after our last VIA Rail adventure our daughter was born! Manitobans—as do a lot of Canadians—tend to look elsewhere when planning travels. Should “knowing your home” be that first travel step before setting out to see the world? Definitely. When it comes to creating a bucket list, we don’t have to be too ambitious. Locals are always telling me how tourists often see more attractions than they do. Start your bucket list with that thing in your city or town you’ve always wanted to do, then your province, then your country.